With Sonoma County’s 2013 harvest season now complete, many winegrowers and winemakers are touting this year’s exceptional quality seen throughout our 16 AVA’s. The region experienced another ideal growing season that was long and provided moderate temperatures for grapes to ripen at the optimal speed. The result is another stellar vintage defined by clean, outstanding fruit characteristics with balanced acidity, tannins, and sugar levels. This year’s harvest started slightly earlier than previous years on August 9, and the pace quickly sped up towards the end of August and throughout September as many varieties (white and red) ripened at the same time, including Chardonnay, Cabernet Sauvignon, Pinot Noir, Merlot, and some Zinfandel. This created some issues for tank space inside wineries, but winegrowers and winemakers were able to work together to ensure picking schedules and quality remained unaffected. This rapid pace allowed harvest to end for most around the last week in October, roughly two-to-three weeks earlier than normal seasons. After last year’s record breaking crop size, it seemed unlikely that 2013 would follow suit. But, early reports show that this year’s harvest could be another big sized crop. It’s still too early to know for sure, but one thing is evident: 2013 is another banner year for quality. 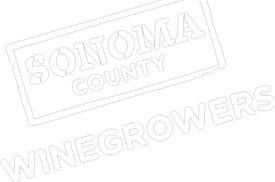 Some are already calling it a “phenomenal, outstanding” vintage for Sonoma County.